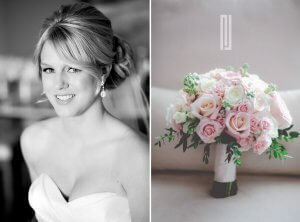 If you want perfect bridal photos, then it’s important to take care of every wedding-day detail. The ideal venue, the dress of your dreams and a brilliant photographer are probably already at the top of your list. And according to our talented Los Cabos wedding photographers, that list should include an experienced professional hair and make-up artist. The average wedding photographer spends more than 40 hours planning, shooting and editing images for each wedding. They definitely see enough wedding hair and make-up to know the value of hiring a skilled stylist. In order to find out what local pros suggest to their brides, we recently caught up with Cabo wedding photographers Jerome Dieu and Ana Romero – Cabo Wedding Photographers. The pair revealed they love working with our stylists and were kind enough to answer a few of our questions about why they recommend our services over those of other salons. 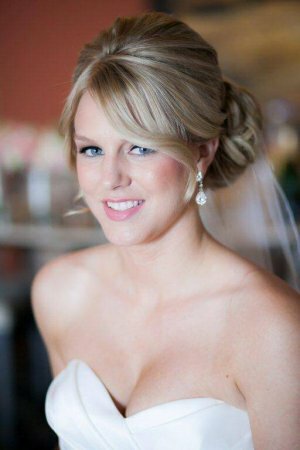 How important is hair and make-up for bridal photos? Why do you prefer Suzanne Morel when it comes to bridal make-up? “As photographers, we pay attention to every detail in order to create the most beautiful photographs and make-up is one key factor when it comes to portraits. In that sense we prefer natural looking vs. exaggerated make-up (airbrush looks very shiny in pictures for example). An unpretentious makeup is the best choice, because neutral tones emphasize the natural beauty of the bride, rather than using strong shades that steal all the attention. What advice would you give brides who want flawless wedding-day photos? 1-Choose an experienced makeup artist. 2-Schedule a trial with your makeup artist. 3-As Tyra Banks says, “The most important item in your make-up bag is a good night’s sleep,” so make sure you go to bed early the day before your wedding. This entry was posted in Blog and tagged Cabo Destination Wedding, Linens, Los Cabos wedding, Things and More..., Wedding Barcelo Los Cabos, Wedding hair and make-up Cabo.